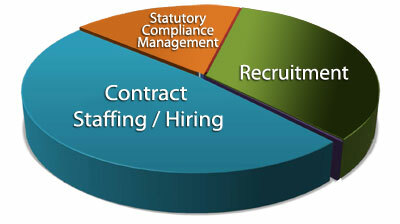 Jaisurya Staffing Services Pvt Ltd, a HR Services Company Established in 2006, focusing on Contract Staffing Services, Temporary Staffing Services, Statutory Compliance Audit, Recruitment & Job Consultancy. Jaisurya is a contract staffing service companies, provides Corporate Clients a One Stop Solution for all their Staffing and HR Requirements in the following verticals. As a Temporary staffing service companies, We offer complete solutions where job seekers are mapped to the job requirement using comprehensive profiling techniques. Each profiling is done as per the requirement of the employer with regards to the managerial, technical, logical, analytical, communicative and motivational factors required for the job.